I had really high expectations of this novel having seen some excellent reviews. There is no doubt that Ms Matthews can write, and write well, and this is a very clever story, with some fabulously drawn characters, a wonderful attention to historical detail and a real sense of time and place that lends the novel a real authenticity. The subject matter is dark in places and the characters are portrayed flaws and all, in an unflinching manner that some may find difficult to read. This wasn’t an issue for me – I prefer characters to be realistic, to behave in a way that is believable and admire and appreciate authors that don’t resort to happily-ever-afters or false sentimentality. Marta is an intriguing character, and it is refreshing for a novel to feature such an interesting heroine. Elise, somewhat softer than Marta, is also a very readable character. I wanted to know more about them both and was interested in what happened to them. The plot is dark and full of twists and surprises, all very gripping, well-paced and intelligently written. So there is much to admire in this novel and much to admire in Ms Matthews’ writing. However, I felt so frustrated by this book. There is so much potential here but there is too much ‘telling’ rather than ‘showing’. We are given a lot of background details about characters and their experiences and feelings in big sections of prose, rather than being ‘shown’ these things, experiencing them with the characters. Dialogue sometimes felt rather unnatural and too formal. The most frustrating thing for me though was that most of the dialogue was punctuated incorrectly throughout the book; not just once or twice, an error that could be overlooked, but consistently. The author obviously cares about her novel, about her craft, which is why I was so surprised by these errors. It may not seem like a big issue or something to be so frustrated by, but I found myself increasingly irritated. Maybe I’m being overly pedantic, but it’s frustrating that the author has obviously put so much into this book and yet has overlooked something so basic. It’s a real shame, because this could be an absolutely brilliant novel. The characters were dark. Very dark. They were dark with anxiety, dark with evil and dark with sadness and loss. Many of them were hard to like, some of them I loved to hate and all of them were dark. The plot was fascinating, dark people, dark desires and dark motives made for more than a few surprises. The historical time was equally fascinating and frustrating. “He was not convinced that women, even well-educated ones like Marta, could cope with consequences and accountability.” – The doctor of The Doctor’s Daughter was not my favorite person. My only wish is that it had been longer. The characters and their motives were complex but there were still times that I wished the author had filled in a little more of what was in her head. Those were times that the characters’ actions didn’t seem to quite add up to what I had been told about them. I’d find myself stepping back from the flow of the story as I internally debated the believability of their actions. But, given the richness of what was told, I feel certain that information was there. It was within a backstory or a side note hiding in her mind and just didn’t make it into print. Would I recommend it? Have I mentioned that this book was dark? It made for a hard read. Not a bad read mind you, just hard. The main character suffers from anxiety and self harms as her way of coping – it’s not for everyone. But those who are up for it will get treated to a very rich snapshot of history. This well-written dark historical mystery tells us about Marta Rosenthal, daughter of renowned psychiatrist Arnold Rosenthal in early nineteenth century Austria. Marta herself is a bright scientist, who yearns to conduct her own studies and be known for work in her own right, she is encouraged by family GP Leopold Kaposi, to plan to branch away from her father. Marta then meets the enigmatic Elise, a doctor, recently qualified from Paris, who has ambitions to further her career in the field of paediatrics and a gift for manipulation that has aided her to get far. Both women are trying to make it in what is very much a man’s world, however, they do not realise the extent to which both their lives have been manipulated. This thriller unravels tantalizingly drawing you in to the characters, who are flawed and have much to hide. At times whilst reading this it has the theatrics to make quite a compelling stage-play but there is a lot of internal dialogue we are witness to from Martha particularly which gives the psychological element to the novel and wouldn’t translate as well to stage. 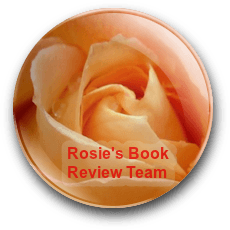 What starts as a book about two bright women trying to make their way in a male-dominated competitive field turns into a dark thriller where the women face a ruthless antagonist who wields much power and is hell-bent on destroying them. An intriguing historical read, I thoroughly enjoyed. 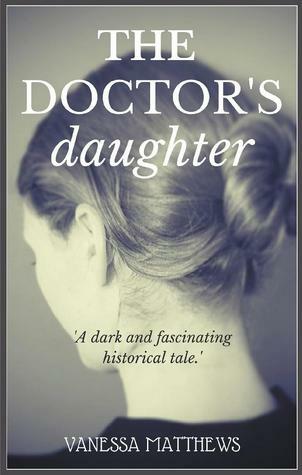 Considering it is a disturbing novel, with themes of manipulation and emotional and mental cruelty it might seem odd to read that I enjoyed The Doctor’s Daughter. Yet I did; because I liked the writing style of Vanessa Matthews, because it is so sensitively written, and because of the compelling plot. Although I found it a little slow to begin (there is a lot of introspective internal dialogue) I soon became used to this and was more and more engrossed as the book progressed. Mainly set in Vienna, in the early part of the last century, the story is populated by good rounded characters. Virtually isolated within her family, the protagonist, Marta Rosenblit, is complex yet with a certain naivety. Exposed to outside society but only within her father’s control as his protégé, and only as long as she doesn’t challenge his expertise and opinions. Even so she holds a dream of being able to connect and make her way in this most patriarchal of worlds. Elise Saloman, a recently qualified paediatrician, who becomes Marta’s friend, is shown as a foil for the protagonist, being a strong-willed, resolute character. But even so Elise has secrets of her own – one that is ultimately revealed to have connections with Marta. Arnold Rosenblit is portrayed as a controlling, self-centred and formidable character with no empathy for Marta and no time for anyone who doesn’t share his views on the female psyche. He could have been shown as a flat, unchanging character, but Matthews manages to show another layer to him by revealing his vulnerability in his relationship with his institutionalised wife. Leopold Kaposi, a physician and long-time friend of the family, is portrayed as self-obsessed, manipulative. As an antagonist he is the only character I felt didn’t grow throughout the story. But that was okay; he was a good one to dislike and therefore I felt justified as his motivations were gradually revealed. The book is mainly written as third person point of view, from Marta’s perspective. We are given access to her internal dialogue, which reveals the many facets of her given personality and also gives the readers her thoughts on the other players in her world. This is interspersed with the occasional viewpoint of other characters. The dialogue is excellent and remains true to each the characters all the way through the book. There is little obvious intervention to describe the world the characters inhabit, yet throughout the novel the atmospheric narrative it is a subtle and integral part of the story and portrays a setting the reader can feel part of. As I said at the beginning this is a dark and sometimes disturbing read, with many disquieting themes. It’s a challenge. But I think the reader will be surprised by the denouement. I know I was. And I have no hesitation in recommending this novel by Vanessa Matthews. She is a tremendously good writer and I look forward to reading more of her in the future. 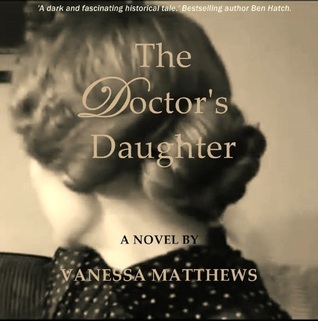 The Doctor’s Daughter by Vanessa Matthews. A dark tale of a singular time and an empowering friendship. The book is fascinating and very well-written. I suspect that somebody without my background might enjoy the story more for what it is, and not try and overanalyse it or over diagnose it. Arnold Rosenblit’s theories are suspiciously reminiscent of Sigmund Freud’s. And of course, he also had a daughter, Anna, who dedicated her life to study and develop child-psychology. I’ve read some of Freud’s works, but I haven’t read that much about his life, although from what I’ve seen, his relationship with his daughter was much more congenial than the one Arnold (a man difficult to like, although the description of his relationship with his wife is quite touching) had with Marta, the daughter of the title. The book is written in the third person and mostly narrated through Marta’s point of view, although there are chapters from her friend Elise’s perspective, her father, and Leopold, a physician and long-time friend of the family. She has her own psychological theories and ideas, but finds it difficult to make her father listen to her. She has very low self-esteem, self-harms and has been doing so for a long time, and when she enters a relationship with a man, she’s completely clueless as to standards of behaviour or how to interpret this man’s attentions (a much older man than her, but somebody with influence and who promises to help her). Although she was not brought up by her mother, I wondered how realistic some of her behaviours would be for a woman of her social class at that period. However, the novel does paint the fine society of the time as a close set-up with a very dark undercurrent, with drugs and alcohol being consumed abundantly, and adventurous sexual behaviours being fairly common, and perhaps Marta is reflexion of such contradictions. On the surface, very controlled (the ego), but with strong and dark passions underneath (the unconscious).